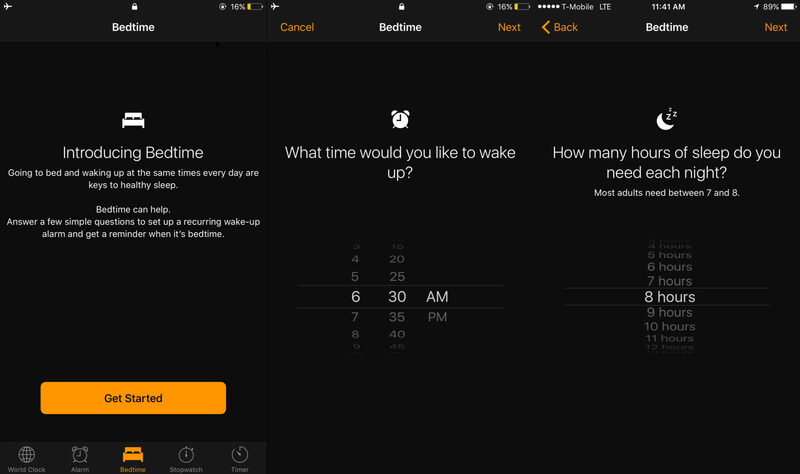 You are at:Home»iPhone»iOS»How Do I Use Bedtime In The Clock App On My iPhone? The Guide. OK, I’ll admit it: I don’t get enough sleep. It’s not that I don’t want to get the recommended seven to eight hours every night, but it’s that I always forget to sleep at the right time every night. 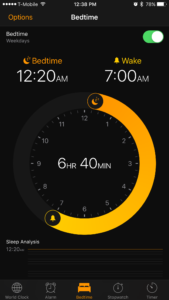 Luckily for people like myself, Apple introduced a new feature called Bedtime in the iPhone’s Clock app. 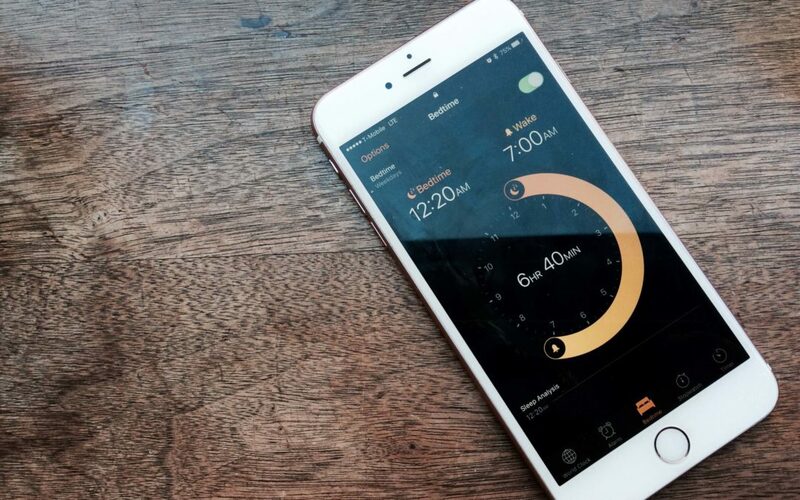 This feature is supposed to help you get to bed on-time and track your sleep schedule, giving you information that will help you consistently sleep well. Oh yeah, and it wakes you up every day! In this article, I’m going to show you how to use the Clock app’s new Bedtime feature to help improve your sleep. Make sure your iPhone is updated to iOS 10 or higher before starting this tutorial — no additional apps are required. In order for Bedtime to properly track your sleep, give you sleep reminders, and sound your alarm, you need to go through a simple (but lengthy) setup process. I’ll walk you through it. How Do I Set My Bedtime On My iPhone? Tap the Bedtime option at the bottom of the screen. Tap the large Get Started button at the bottom of the screen. Input the time you’d like to wake up using the time scroller at the center of the screen and tap the Next button at the upper right-hand corner of the screen. By default, Bedtime will sound your alarm every day of the week. From this screen, you can select the days you don’t want your alarm to sound by tapping on them. Tap the Next button to proceed. Select how many hours of sleep you need every night and tap the Next button. Choose when you’d like to receive your Bedtime reminder every night and tap the Next button. Finally, select the alarm sound you’d like to wake up to and tap the Next button. You’re now ready to use Bedtime. How Do I Use The Bedtime App? Now that you’ve set up Bedtime, it’s time to use it. By default, the feature will remind you when to sleep and wake you up every day you told it to during the setup process. However, if you’d like to turn Bedtime off for a night, open the Clock app, tap the Bedtime button, and turn the slider at the top of the menu to the off position. In the Bedtime menu, you’ll see a large clock at the center of the screen. You can use this clock to adjust your sleep and wake times by sliding the wakeup and alarm around the clock. This will permanently adjust the times you wake up, so make sure you set it back after the weekend! 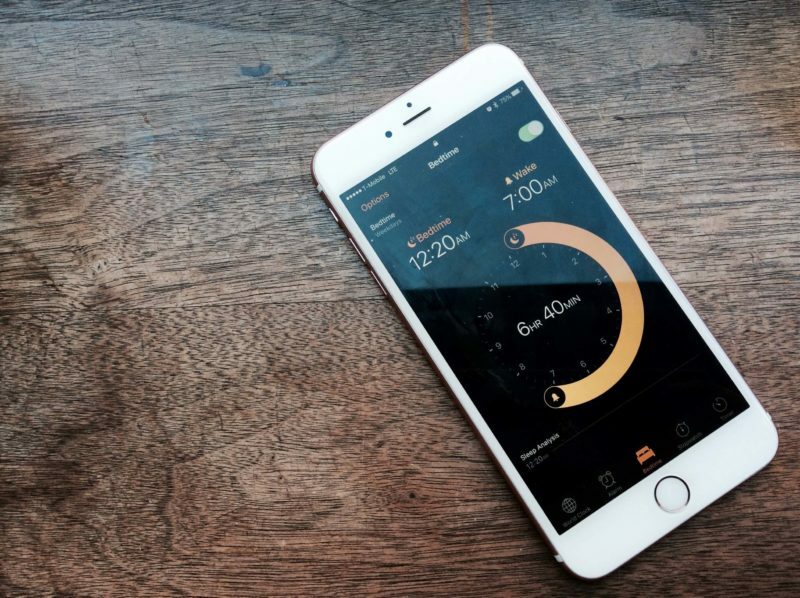 Bedtime will record your sleep schedule and sync it with the built-in Health app. You can view your sleep patterns as a graph at the bottom of the screen Bedtime screen too. Aside from these small features, Bedtime is completely automated. Unless you turn the feature off, your iPhone will remind you when to sleep and when to wake up every night. And that’s the beauty of it — it’s a simple, no-frills solution to help you get a better night of sleep. And that’s all there is to Bedtime! Enjoy your newfound sleep schedule. If you’re using Bedtime, let me know how if it has helped your quality of sleep in the comments — I’d love to hear it. Next Article How Do I Send Photos In Messages On My iPhone? Find The Missing Camera!